Why choose the Port of Loviisa? The Port of Loviisa is a developing and dynamic full-service port on the southern coast of Finland, with good road and rail connections to everywhere in Finland. Our competitive advantages include the ability to offer our customers individualised solutions for managing material flows, aided by our excellent location. The transport units freed up from the import traffic of southern Finland and the Helsinki metropolitan area are available to you for exports. 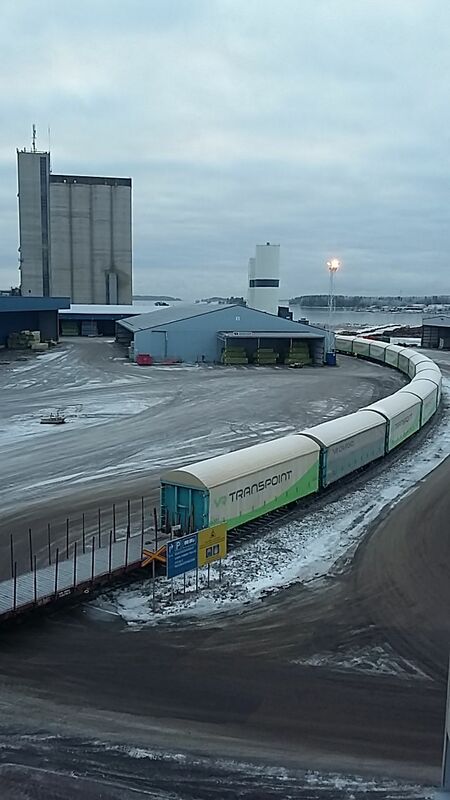 The port also has a railroad line reserved exclusively for cargo traffic, connecting directly to the main rail line in Lahti. We work together with our customers to develop efficient and customised rail traffic solutions, with competitiveness guaranteed by our extremely light cost structure. We can even process a rail carriage line while you wait! For precarriage by truck by truck, we provide consignors with uninterrupted service and proactive communication, offering significant cost-savings. This allows us to provide cargo owners with more competitive transport quotes for traffic flowing through our port. We are located only a short fairway away from the shipping routes of the Gulf of Finland, due to which the vessels visiting our port save time and money in pilotage fees, for example. The main objective of our port operators is to provide quick and efficient cargo handling while maximising the utilisation of loading capacity. With efficient operation, the unit cost of cargo is also reduced. The competitiveness of our port services is ensured through mutually beneficial cooperation between port operators. This cooperation results in individual, customer-oriented service and flexibility, without additional cost.